Australia has been hit by a wave of massive vegan protests, with activists demanding animal liberation as well as an end to slaughterhouses and animal abuse. However, these attempts to show solidarity for the livestock appear to have had exactly the opposite effect on some Australians. A number of trolls took to social media to taunt activists with photos of fat, juicy burgers, steaks and other meaty food. — Mark ⚓️ 🇦🇺 (@markc01) 8 апреля 2019 г. — Uncle Terry (@uncleterryd) 7 апреля 2019 г. — Phil Mort (@MortPhil) 8 апреля 2019 г. 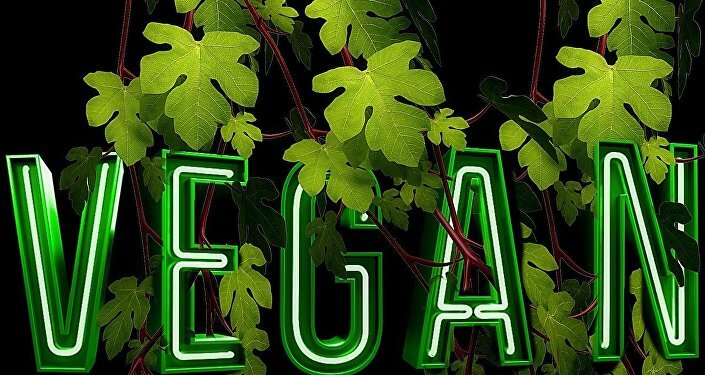 — Matt Deans (@Deansy_) 8 апреля 2019 г.
Satirical news website The Betoota Advocate published a piece titled "Melbourne's Vegan Protests Lose Momentum as Activists Begin Napping Due to Iron Deficiencies". The parodic article details how the protesters began to lose stamina and fall asleep in the middle of a street because they failed to pack "enough legumes or grains to get through the day". The protests that drew the ire of some omnivorous Australians unfolded in a number of locations across the country, including Melbourne, Sydney and Brisbane. They are timed to coincide with the first anniversary of the release of Dominion, a documentary about what's happening to animals at factory farms and slaughterhouses in Australia, which questions they way humans treat animals there. The activists, who insist their demonstrations are peaceful, were seen holding placards advertising the documentary. They beefed about what they called an "emergency" situation in animal husbandry and demanded that the government take drastic measures to change it for the better. Nearly a hundred activists reportedly parked several vans in the middle of a busy intersection in Melbourne, with some chaining themselves to the vehicles and disrupting traffic, much to the outrage of thousands of local commuters. Police arrested 38 people, including three teenagers. According to news.com.au, police also arrested nine people who chained themselves at an abattoir in Queensland to demand the release of lambs and charged with trespassing. Separate groups of activists are said to have invaded farms around the country. Prime Minister Scott Morrison called the protests "shameful" and "un-Australian". "I think state and territory governments should ensure the full force of the law is brought against these green-collared criminals," he told reporters on Monday. "If there are pastoralists, farmers, graziers that are in a position to bring a civil action against these groups… the Commonwealth is totally open to supporting them in a test case [against] these green criminals." Chris Delforce, the director of the documentary Dominion, who spearheaded the protests, disputed the PM's statement. "The industry is telling people these animals are being killed ethically, that they are being killed humanely," Delforce told Australian Associated Press. "It's the furthest thing from humane."